We love the fact that James Corden seems to have incredible chemistry with pretty much everyone he meets. 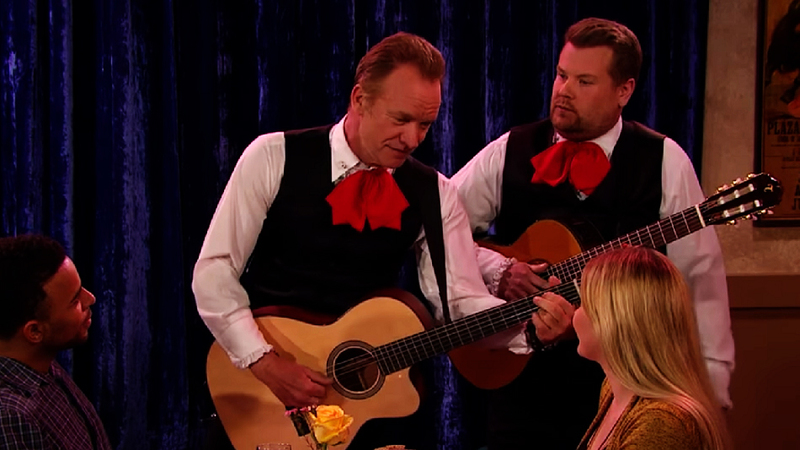 That’s part of the reason as to why this sketch, with Corden and Sting dressed like singing waiters, is so perfect. 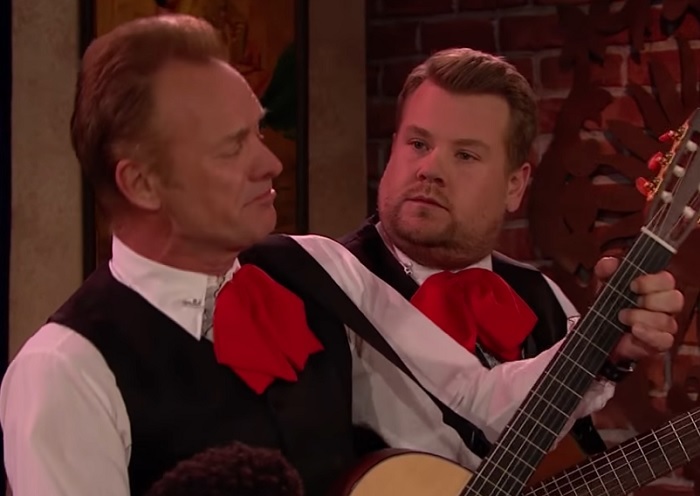 I mean, we always thought that Sting had a pretty solid sense of humor, but Corden truly helps make this quality undeniable. The sketch is all about two waiters who try their hardest to vocally outshine each other. Of course, Sting knocks it out of the park with well-known Sting-based songs, like “Roxanne” and “Message In A Bottle.” Corden uses other popular ballads to try and get ahead. As the battle goes on, the instruments get a bit more interesting. Of course, it can only end with “Every Breath You Take” by The Police — arguably one of Sting’s most well-known hits. 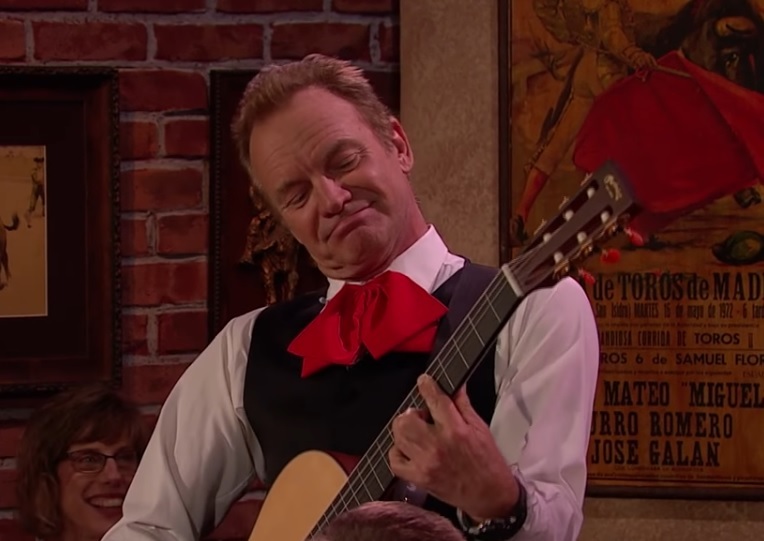 If anything, this sketch reminds us of how many incredible songs Sting has. Really, this sketch could have gone on all night if the staff of The Late Late Show wanted it to. It’s also a reminder that, at the age of 65, Sting’s still got it. Just think about it — Sting and his band recorded most of these songs in the ’70s and ’80s, and they still sound as good as they did back then. Of course, Corden did a great job making us laugh. We love his comedic timing and his famous frustration face. Even when he flubbed a line, his recovery continued to bring a few laughs. This sketch definitely brightened our day. We’re hoping for more “Singing Waiter” bits in the future!